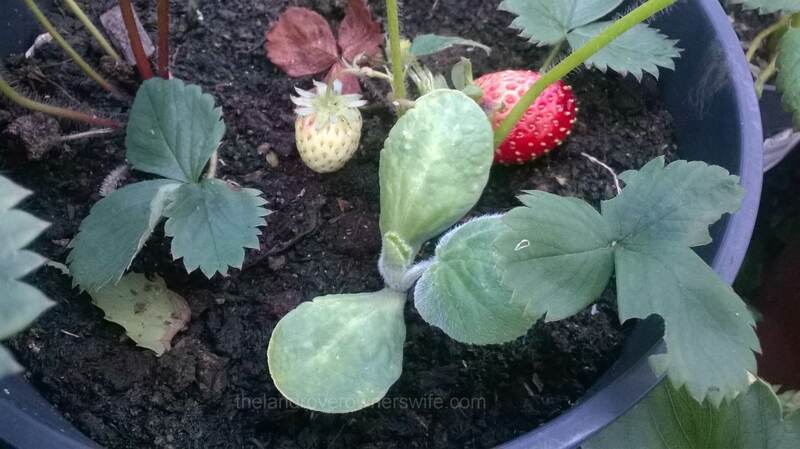 Back at the beginning of June, I spotted a very unstrawberrylike plant growing in one of my strawberry pots. 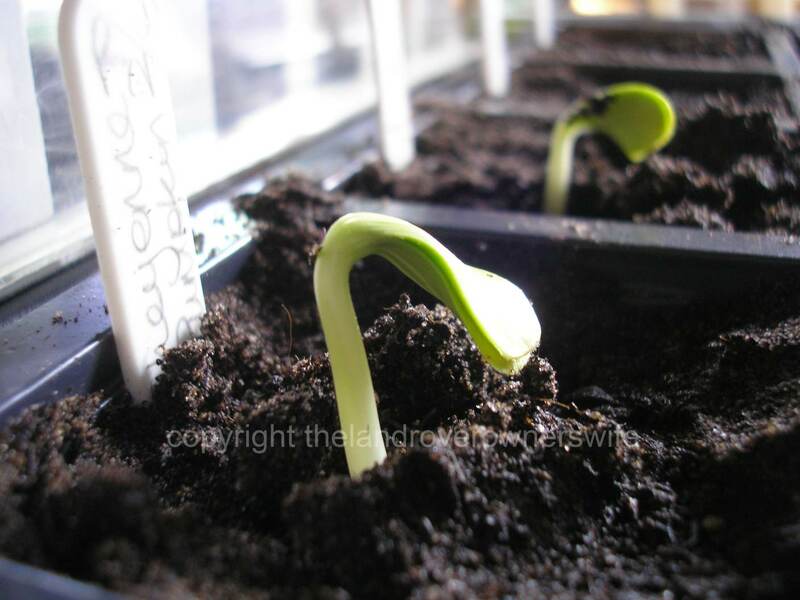 I could see at a glance that it was either a pumpkin or a winter squash but which one of the 5 varieties I am growing this year it is, will remain a mystery until it forms a fruit – if it ever does that is. I carefully removed this volunteer (the term used by gardeners to describe the unexpected emergence and growth of a vegetable plant) from the strawberry pot and potted it into some fresh compost and left it in the greenhouse to recover. Once it was big enough, I planted it into a spot amongst the sweet corn and other winter squashes and left it to its’ own devices. 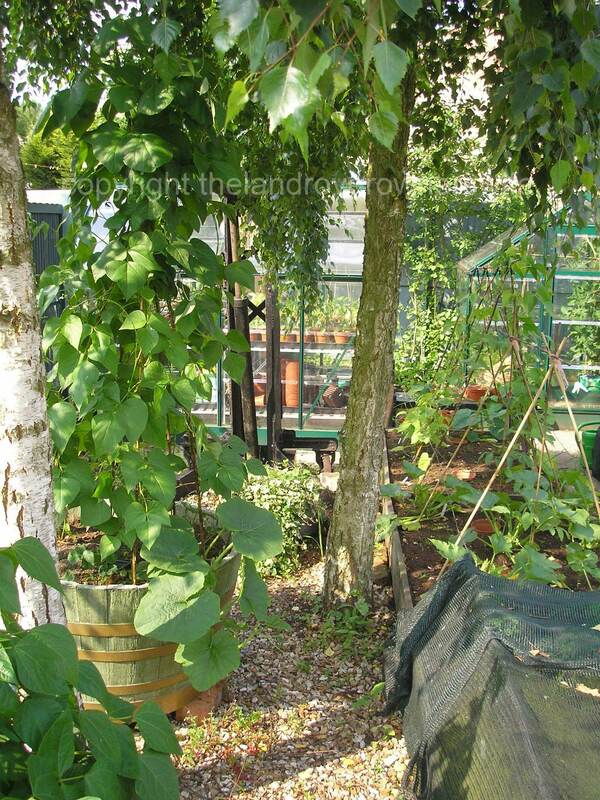 Categories: .... on growing your own | Tags: Food, grow your own, Pumpkin, Squash, vegetable gardening, vegetables | Permalink. I was really rather taken aback at the size one of my Anna Swartz Hubbard Squashes reached. I’ve never grown this variety before and I have managed to grow two of them, across two different plants and, to be honest, other than the colour they look nothing like each other really which was surprising to say the least. Categories: .... on growing your own | Tags: Food, gardening, grow your own, Halloween, Pumpkin, Squash, vegetable gardening, vegetables | Permalink. Categories: .... on seeds to seedlings | Tags: Food, gardening, grow your own, Pumpkin, seedlings, vegetable gardening, vegetables | Permalink. Ghosties and ghoulies and long-legged beasties …..
Halloween in our house hold is traditionally a fun, happy time, with much laughter as pumpkins are carved, the hall is decorated and the two Mudlets don their costumes and face paints, ready to receive the “trick or treaters”. The plastic Halloween lanterns are brought down from the attic, dusted off, fitted with new batteries and then we all hold our collective breath as we wait to see if they have survived another year of storage, or if their cheaply made circuitry has finally given up the ghost (excuse the pun), after 3 Halloweens of being dropped, bumped and generally neglected by the over excited Mudlets. Of course the carving of the pumpkins, grown by me and two of which dwarfed the ‘extra large’ ones a certain well known supermarket had for sale this year (not that I’m bragging), is, according to Mud, the highlight of the day and a task only undertaken by Mud himself. I grow the pumpkins, he carves the pumpkins, I cook the pumpkins, then we all eat the pumpkins in a variety of guises. This is the way it is and has always been since the Student Mudlet was at home. 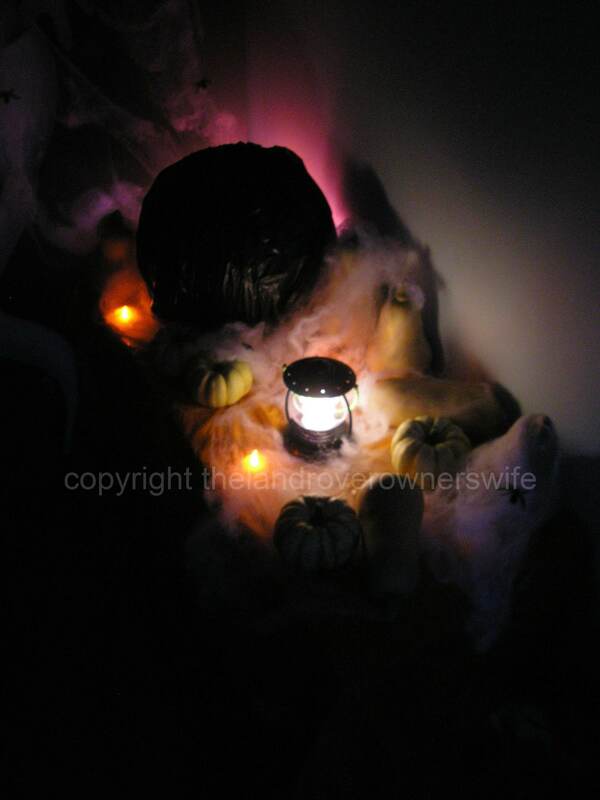 Categories: .... on family life | Tags: Halloween, Halloween decorations, jack-o-lanterns, Pumpkin, pumpkin carving | Permalink.